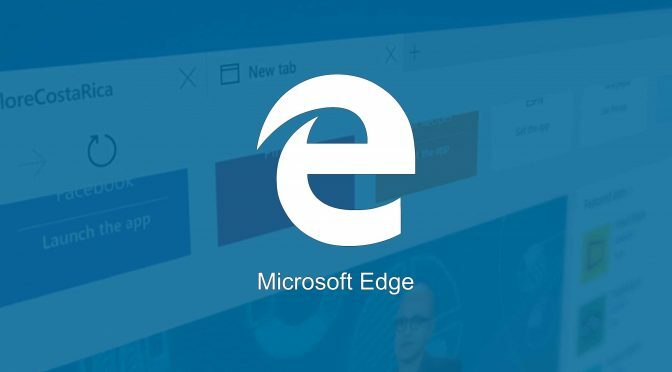 Ensure that Microsoft Edge is configured as the default browser on your Windows machine. Go to Edit > Preferences, and click Preview In Browser in the Category list. Click + to add a new browser to the list of browsers that appear in the Preview In Browser option. In the Add Browser dialog box, specify a friendly name for the browser, for example, Edge. Then, specify C:\Windows\explorer.exe as the path for the application. 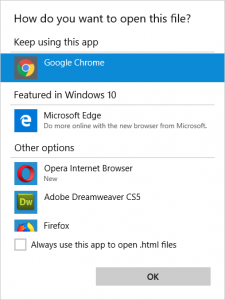 Based on whether you want to use Microsoft Edge as the primary or secondary browser, select the appropriate option. Click OK. Then, click Apply to apply the changes and Close to close the Preferences dialog box. Edge as My Default Browser? No thanks! I am not okay with setting my default browser to a minimal market-share browser I simply will not use until necessary (eg: cross-browser testing of layouts, CSS and JS). Chances are, you feel the same way. What I did to get around this issue pretty much the same as Adobe’s suggested step 2, but without setting Edge to my default browser. Which results in a more favorable solution than changing my system defaults to an undesirable browser.